Last week I was feeling a bit under the weather, and so Perrin and I were not able to hold our weekly coaching call. So, today there is no video to go along with this post. But don't worry, we still did plenty of work! In fact, we went through several keywords that Perrin found based on what I taught in my video call last week for finding low competition keywords. I then shared my feedback on whether or not it was a good keyword. This is a huge learning process, and going through this process actually taught me a few things! Essentially, this past week, I asked Perrin to come back with a list of potential keywords that met certain criteria (listed below in Perrin's writeup). As I went through that list, I realized that I hadn't taught him a couple of things that I look at. In particular, I had to emphasize that going after ecommerce keywords is extremely difficult and should usually be avoided. In addition, I re-emphasized the fact that when checking the first page Google competition, you REALLY want to see other weak types of sites ranking. This isn't required, but its an almost guaranteed way to know if you can rank for that keyword as well. In particular, I told Perrin to look for keywords that had forums, other niche sites, question and answer sites, or other weak types of sites ranking in the top 10 already. If you can find a keyword that has only very weak sites like small affiliate sites or forums ranking in the top 10, you've found a winner. In this post today, you will first find Perrin's recap of the week. Then you will find close to 20 example keywords that Perrin found, along with my feedback. If you are wondering what is going through my head when I do keyword research, I HIGHLY recommend that you study these keywords and read my thoughts on them! 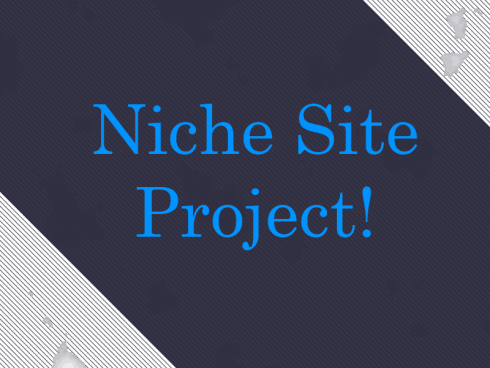 If you need to catch up on all the posts for Niche Site Project 2, go here. Perrin's Write Up for the Week! Two weeks down, 22 to go. Have you guys been working? I hope so! Honestly, one of the coolest things about this project is seeing how many people are following along and creating their own niche sites. It’s like we’re this massive niche site army. We seriously need matching jerseys or something. Based on conversations with Spencer, I also tracked three other data points: advertiser competition, the number of sites with the exact keyword in their title, and the number of sites in the top 10 results less than one year old. After I plugged my keywords into Long Tail Pro, I came up with 10 keywords I was really excited about. They all looked really strong to me. …I totally whiffed on almost all of them! Ha. Also, I’d never want a pet monkey. But really, of the 10 keywords I found, about 7-8 weren’t going to work at all. Of the usable ones, only one looked to be worth pursuing. This is where it really pays to have a coach like Spencer – someone to fill in the gaps in your knowledge and tell you where to correct course. So what did I do wrong? Well, a few things, but by far the most important was that I was targeting e-commerce keywords. Not only did my keywords include products (which can be fine under the right circumstances, but I was even targeting specific brand-name products), but most of them included the suffix “for sale.” When I was searching, I found that lots of the keywords that had “for sale” tacked on the end seemed like very low-competition keywords. What I didn’t realize (or know to look for), however, was that for most of those keywords, the top 10 results were almost all e-commerce sites. This is bad (and something I didn’t know). If Google thinks someone is looking to buy something, they will give a strong preference to sites that actually sell that product. Spencer pointed me to a blog post he wrote on this topic a while back, which explains it in detail. Definitely worth a read. From that first list, I did get what I hope is at least one usable keyword, but Spencer asked me to give it another go, so we can have a bigger list to look at on our call and increase our chances of finding a really high-quality keyword. So I set out to make another list. This time, though, Spencer asked me to focus on keywords whose competition included weak sites, like forums or other niche sites. And it was a LOT harder! Ha. It takes a lot more time to find keywords that meet our criteria and have a few weaker sites in the top 10 results. After a while, I ended up having to make a couple of concessions on some of the criteria. For example, I had been looking for keywords with a competitiveness of 30 or less (that’s a Long Tail Pro metric for those of you who aren’t familiar). After finding relatively few keywords that met that standard, I upped it to 35. You have to ACTUALLY CLICK on the top results for keywords you’re interested in! I made a total rookie mistake by just looking at the data. The SKILL of keyword research is the subjective judgement of your competition. Stay away from e-commerce sites! Also, stay away from .edu and .gov sites. You’re not going to outrank them. If you have one or two, take a look at the other results and make a call. If you have a whole bunch, move on. Prioritize keywords with weaker sites in the top 10 results, such as forums, Q&A sites and niche sites. If Google is ranking these sites, they’ll be happy to rank yours, too. Now let’s get into some nitty-gritty SEO and dig into some of the keywords I found! YES or MAYBE (ORANGE) – Orange means its low competition – but that doesn't necessarily mean I recommend building a site on it. Some may be good, but others might make me hesitate for one reason or another. Read my thoughts to get better insight. NO (RED) – I would avoid this keyword. I'm am not necessarily saying its a high competition keyword, only that I would not build a niche site on it. Read my thoughts to find out why. Spencer’s Thoughts: You have the right idea as far as low competition goes. However, there are some cases where these standard rules don’t apply. In particular, ecommerce results are harder to outrank because Google gives them preference for certain search terms. I would avoid this keyword, because every single site ranking the top 10 is an ecommerce site – they are all selling straight razors. This is not a good option for an affiliate site. Spencer’s Thoughts: This is also an ecommerce keyword. I would avoid it. Even though some of the results are craigslist pages, which typically is a sign of weakness, in this case its not really. Because this is an ecommerce keyword, Google is giving preference to sites that actually sell the product – and this includes Craigslist. Spencer’s Thoughts: Ecommerce keyword. Avoid. Spencer’s Thoughts: Same as above for scooters for sale. Spencer’s Thoughts: I just found out that “crossfit” is actually a brand name. So, you could get a cease and desist letter for having this in your domain name. 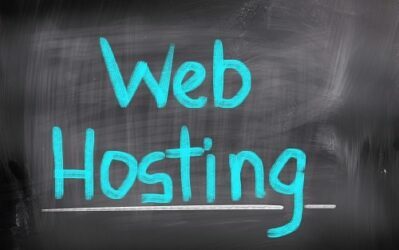 But that doesn’t mean you can’t create a site on it (just have a unique domain). This keyword might be doable, but I am hesitant for a couple of reasons. First, the brand. Second, I don’t see really any other weak “types of sites”. I would prefer to see other affiliate sites or niche sites ranking to let me know Google is willing to rank these weaker types of sites. So, it’s a maybe…but I think we can do better. Spencer’s Thoughts: This one actually may have some potential to rank. Even though many of the results are ecommerce sites – a few of them are not. Although its hard to say where you would rank; because the first few sites are ecommerce related, Google still seems to be giving some preference there. Also, the fact that its typewriters, an outdated technology, makes me hesitant to go into the niche. Spencer’s Thoughts: This has potential. The first couple of sites look difficult to outrank, so that’s a negative; but several of the other results look lower competition. I also see several sites that are just content/text sites – not ecommerce sites, that are ranking. The downside is that its only gets searched for 1600 times/mth. As a result, we would probably want to be in the top 3 spots; but the first 2 are very difficult. Its an okay keyword, but not ideal. Spencer’s Thoughts: Same Ecommerce issue. Avoid. Spencer’s Thoughts: This one might be doable as well, but I’m not real excited about it. Can you write more than a few articles on ping pong table dimensions? Also, doesn’t seem like much of a buying keyword – more of just general research. Someone could probably rank here and maybe even make $100 a month. But we can do better. Spencer’s Thoughts: The first 5 or 6 results all have a very high PageAuthority. I don’t like that. Perhaps you could rank near the bottom, but it only gets 1900 searches per month, so its probably not worth it. Also a note about when you see a PageAuthority of 1 in Long Tail Pro. This simply means that a PageAuthority has not been assigned yet by Moz.com – not necessarily that it’s a weak page. When you see a 1, look at the Domain Authority and divide by 2 to get a general idea of what the page authority should be. Spencer’s Thoughts: I like to see results that have both low PageAuthority AND low page links. So, I only see one result in the top 10 that has a pageauthority of less than 30 and juice page links of less than 30. I like to see a couple of sites in the top 10 that meet this criteria, so I would avoid. Also, I’m not seeing any niche sites ranking. I see more authoritative blogs, review sites (like CNET), and ecommerce sites. Spencer’s Thoughts: I don’t think getting at least on the bottom of page 1 would be too difficult. I’m not sure about the top of page 1. The competition is generally weak, however, it’s a tough call with a few ecommerce sites like Amazon in the mix. I actually don’t see any niche sites ranking. I do see at least one niche ecommerce site, but its not just a plain old niche content site. But I do like the fact that I see a couple of forums ranking, and the fact that several of the pages are not using “Best Tactical Flashlight” in their headline. This one has potential, but it doesn’t have me jumping up and down with excitement. Spencer’s Thoughts: This one has both good and bad signs. The bad – it has several more authoritative review sites (like consumerreports.org, consumerresearch.com, popularmechanics.com ranking) and a few ecommerce sites, like Lowes.com and Amazon.com ranking. So, yes I see potential, and if you were to put in real effort, I think its most definitely within reach. Spencer’s Thoughts: I don’t see a single page below PA of 30. Also, the 3rd spot is not a niche site, it’s actually a huge review website with a 79 domain authority and a 42 page authority for this particular page. I would avoid this keyword. Spencer’s Thoughts: I like the weak niche site that is ranking 2nd. It looks like google is highlighting the word “Pressure” in place of the word, “power”…so even though websites are using the term “Pressure washer reviews”, they are being given credit for the term “Power Washer Reviews”. At least that’s what I can tell by looking at the bold in Long Tail Pro (and in Google itself). Most of the sites ranking are big review sites (consurmerreports.or) or ecommerce sites. I like this keyword overall, but really wish I saw more than just one niche site ranking. The metrics overall look decent, but those are some of my hesitations. Spencer’s Thoughts: I only see one site below a PA of 30. (The other 2 show a 1). However both of those with a PageAuthority of 1 are indeed forums without any juice page links. So, there is indeed some weakness here in the top 10. However, overall I really only see 1 result with a PA of less than 30 that also has less than 30 juice page links. This site is ranked #10. Could you rank for this keyword? Absolutely. But are there easier keywords out there? Absolutely. Spencer’s Thoughts: The top 10 results for these are very similar (most are the same) for the previous keyword. So, my analysis is basically the same for this keyword. You could rank for this keyword, but there are easier ones out there most likely. Overall, I hope that this exercise of sharing my thoughts on specific keywords helps you understand how I analyze the competition. I'm really impressed with how Perrin is moving along! We are going to continue doing a little bit more research to hopefully find that ideal keyword. In addition, we should be back with another video call early next week! As always, I would love to hear your comments or questions. Some of the best learning and sharing on this site happens in the comments, so feel free to jump in and join the discussion! I love the layout of your keyword analysis in this post. I second your opinion to avoid ecommerce keywords, they are POSSIBLE to rank for, but long-term it’s not the best choice. Services (non TM’d / SM’d) are the way I like to go. Advertiser Competition: If this is a website that will have adsense on it, I want this to be high. If this is a website that I will be selling an affiliate product (or my own) on, I want this to be low. Hey Serge, don’t you think your local search volume minimum is kind of low? I use to target microniche keywords all the time, but even some of those typically had much more than 1000 exact match search volume. My best sites that ranked at #1 earned upwards of $300/month at the time. For the authority site that i’m working on now I’m shooting for much higher. To be honest; my “Microniche” sites aren’t so much for Money as filtering traffic. My money site is what I focus on to make money. For example; one of my domains is ranking #1 for a 1,300/month keyword. That domain had 13 visitors come in using that search query. An additional 93 visitors came in from related/other/unknown queries. The domain has had 481 visitors using that exact search query (so about average CTR for position #1). an additional 2633 visitors came in from related/other/unknown queries. I use these “smaller search query sites” as a method to catch a wider audience by ranking them for terms I wouldn’t have been able to rank my money site for. For example, you’re selling Digital Cameras on your site. You set up satellite sites that offer information about [and/or sell] memory cards/tripods/carrying cases, etc. It’s much easier to rank these tiny microniche sites and “filter” that traffic through to your money site. By the time they hit your money site, they’re ready to buy that camera because they’ve read all about it on the satellite (microniche) sites. Err… I don’t know if that answered your question, but for me; ranking for a 1k/month term is worth it. Maybe not in terms of how much MONEY it brings in, but in terms of being able to filter that traffic through to the money site. Not to mention the fact that building a network of sites that link back to your money site = good for ranking, even if it is considered by some to be grey/black hat. I don’t see this type of “network” as breaking any rules, as long as all of the sites are providing a value to the visitors. My niche isn’t digital cameras (I won’t go into it too much, so don’t ask 😛 ) so I don’t end up creating a ton of articles. The sites I’ve set up pretty much take care of themselves (User generated content based on a database I’ve created). with only about 18% of that traffic (4,340) being the main keyword. So yes, ~1k/month keywords are worth it, so long as you can filter it through to your main site and there are variations of it that get traffic as well. So, in regards to your authority site; build micro-authority sites for it (i.e. “How to build a house” is the authority site, “What you need to know about plumbing”, etc. would be a micro authority site (which can have even smaller micro authority sites each as well)). Sorry for the long reply 🙂 hope that helps? Great analysis Serge! Sounds like we see pretty well eye to eye on how to do keyword analysis. Those micro niche sites are golden, especially if you can find expired domains for those. It has two purposes, link asset/juice and another source of traffic. It takes work though but totally worth it. Not the prolem, i am also using tons of long tail keyword and content copywriting to drive commecial traffic from these keywords. Glad you liked the feedback! I think the live examples makes things easier to understand and explain for sure. Awesome run through. Those eCommerce sites really are a tricky bunch arent they? I normally pay attention to the top 3 positions and sometimes I completely ignore everything below. If the top 3-5 have weak sites, then the door is typically wide open. Before the EMD update I found this much easier to spot. Whenever I saw the EMD sites, I pretty much knew I could slide in there right next to or on top of them. I guess things have changed a lot. I like how strict you are, Spencer. I’m confident you guys will hit another home run here. It’s taking me forever to find a keyword I want to pursue ad seeing the reasoning behind these different keywords really helps. The only thing with Amazon is that surely every product on Amazon could be classed as an e-commerce keyword! So it’s really a case of finding something really obscure that enough people search for?! This is definitely the hardest part, for me. Spencer – how long does it typically take you to find a good keyword? Sarah, yes Amazon keywords are ecommerce keywords. But lets just pick a random keyword – say “handheld vacuums”. I would avoid that; BUT if you change it to “Best handheld vacuums” or “Handheld Vacuum review”…suddenly you have a good keyword to build an affiliate site on! Please note, I didn’t analyze the competition…just gave an example to make a point. So, perhaps you could try listing thousands of amazon products then adding a word before or after to make it more of a review type keyword…then surely you can find lots of options. Maybe I shouldn’t have let this little technique out of the bag, but oh well. How long it takes me all depends; sometimes I can find several in less than an hour…other times it can take 10 hours before I find a good one. To add on to Spencer here. In my keyword research, of the product keywords I found that DID seem like good ones (not listed here), almost none of them DIDN’T have the words “best” or “review” in them. I’m a LTP fan, and pay for the monthly “platinum” features – one of which is the “Add Your Own Keywords” feature. I had thought that if I added words like “best”, “review”, etc there, it would pepper in those words with whatever seed keywords I had entered above it in the “Generate Keywords” section. I don’t think that is what it was designed to do now that I play around with it a bit. As an example…let’s say I want to search for “best survival knife”. What would be the difference in searching for this in the “Generate Keywords” section, as opposed to the platinum feature “Add your own keywords”? Again – I’m an LTP fan…just want a full understanding of the the value of that “Add you own keywords” feature. The “Add Your Own Keywords” pulls the data for ONLY those keywords you input in that list. It will not generate additional keywords based on that list. So, if you have a list of 5000 keywords and you want the data for just those 5000 keywords – you would put them in the “Add Your Own Keywords” section. Spencer, Thanks for mentioning this again. I went through over 100 seed keywords and found nothing. I ran the same seed keywords with things like best, review, fastest, biggest etc and found 3-5 keywords I’m super pumped about! Thanks again for doing this can’t wait for the next call! I agree with the other commenters, this is a great format of post. You should consider doing this on a bigger scale sometime with lots of people providing keywords for you to analyze, I think it would be very helpful to see a wide range of them analyzed in this fashion. Glad you liked the format…maybe I’ll do it again…we’ll see! This is actually the post I enjoyed the most out of all the NSP 2.0 posts published so far. Reading your thoughts on each keyword was enlightening and I found many eye-openers while reading. I’d like to add though that ranking above ecommerce or seemingly strong domains may not be as difficult as it may seem if you delve their link profile profoundly (based on my experience). However, I understand that the easier it is the better, and avoiding keywords whose SERPs contain such domains is a time-saving rule of thumb, so I’m going to adopt this method from now on. I hope there’d be another post like this in the near future for further analysis of Perrin’s researched keywords. Great work so far! This is whole exercise of publicly training someone in the niche pursuit system is great. It’s a wonderful idea and very instructional. FYI. The “pressure washer review” keyword is the example Adam Short uses in his Niche Profit Classroom. It his training website, just like Spencer’s “best survival knife”. Something to add to your consideration. I see it as great news that there is already 2 niche sites ranking. But if you can’t get the exact match (bestknife . com), why not get something original with a .com? You could go bestknife review.com or bestknife spot.com or best knife hq.com or best knife mojo.com or whatever. You get the idea, there are a million domains that would work fine and are still a .com. Do you think it’s easier to rank a .com instead of a .net? Or isn’t there a difference. Everything being equal .com outranks .net or doesn’t it matter? I try to go for a .com, but its more for aesthetics…they really should have the same ranking power. This post exemplifies why this series is looking to be more valuable than MANY a paid for course on niche sites! A lot of work went into this post (both the actual process AND the writing up). I’m one of many who relate to where Perrin is at, and who has thought of trying out these types of sites – and this post is a real eye opener to some of the finer details. I just realised that some of this stuff has been mentioned by Spencer before (including in Long Tail Classroom) – but Spencer, it is *really different* being taught this stuff by way of actual examples. Thanks for all the work, and keep it going at full steam! Thanks Steve! Glad you are finding this series valuable. I’m wondering if there is a con to having multiple sites with the same theme? I found a theme I really like, and I want to buy the package that allows me to use it on unlimited sites ,but not sure if Google will slap me for having the same theme on multiple sites? No, same theme is fine. I would try to make the sites looks different with unique headers, logos, colors, etc…but having the same theme is fine. For example, my bestsurvivalknifeguide.com site is built with the Niche Website Theme…and thousands of other sites are also built with this theme. Same goes for the thesis theme, and many other themes out there. 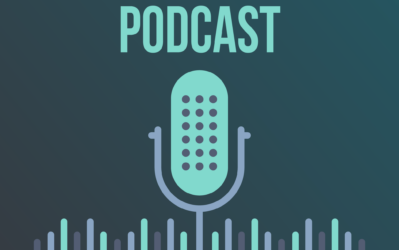 I like the overall thought process that you are currently practicing Perrin, and it is great to see Spencer giving solid reasons, both positive and negative, regarding each keyword. I do feel a little leniency needs to be given towards making a niche site that has 1 or 2 e-commerce site within the top 10 results. Although in many cases it can be quite difficult to out-rank them, I do also believe the type of product, in terms of popularity, makes a difference as well. I have a niche site that ranks 1st above Amazon (on 2nd) and 2 other specialty e-commerce sites for 2 primary keywords (“Product Name”) that are used exactly the same as the e-commerce sites. So I feel it would be worth looking deeper into some of the e-commerce based keywords. 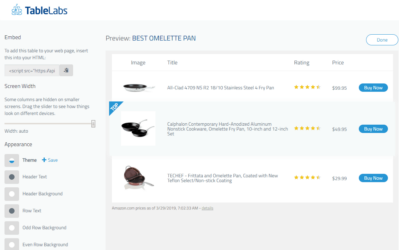 From experience, I find that it is generally easy to rank a niche site above an individual product page on Amazon for example, but very difficult to out rank them for one of their “Best Sellers In “Product Name” pages. Great thoughts Jye. I agree that it is possible to outrank some ecommerce results. I just like to go into markets that I am very confident about. If all 10 are ecommerce results, I just skip. If only half are ecommerce results, I would dig deeper and very well may build a site in that niche. No problem Spencer, I definitely understand where you are coming from. If there is an easier option/keyword, or one that is more likely to rank easier than it is definitely worth taking. But there definitely are a lot of missed opportunities with e-commerce based keywords due to the tendency of people to pass them up. Amazing post, maybe my fave NSP post yet. NSP 1 was super informative, but having a non-expert perspective brings up details experts might take for granted. And we all learn by having an expert there to answer those questions. Awesome. Thanks Perrin and Spencer! Wow! This is an Awesome post. So much good info on the keywords. The competition for a keyword can vary depending on how popular the keyword is and industry competition. This article has good examples! This is the most effective training I’ve seen, bar none. While Perrein get’s hands on training, the rest of us get an over-the shoulder view and a peek in to Spencer’s head. Great job! This is an extremely good post. I can understand how you analyse a keyword in these examples. I’m now much more familiar with the issue of e-commerce site. Thank you, Spencer. Thanks for your detailed analysis for these actual keyword examples. Thanks Alex! Sounds like there could be some issue with Google, a site shouldn’t take that long to rank in google…don’t know why its not. So, how can I identify the problem of my site in google? I really don’t know what’s the problem!! I have the same problem with my latest website. It’s indexed but not ranking in top 100. While I target a keyword in the Netherlands (I guess it’s almost the same difficulty) it was ranking #12 without any backlink! I will now start building backlinks and see what happens. Perrin – thanks for taking the brunt of the constructive feedback from Spencer while we all learn together. I absolutely loved this post and the peek behind the curtains. It’s awesome to see we both had the same thought patterns and are learning together from a pro along the way. Keep it up my man.. can’t wait for the next installment to come in from you guys! Haha. What about ‘Niche Site ARMY”? I love this project idea a lot. I got question do you think is it possible to compete with these ecommerce keywords if we create e commerce style site ? have you tried something ? I’ve been curious about this as well. For example, if you wanted to set up a dropshipping site, could you compete with those guys? I have not tried it, but yes, that is my theory…that if you create an ecommerce site, you most definitely can compete in these markets. You would be Google’s criteria of actually selling the product, so you would have that advantage over us mere affiliates with content websites. Google offers quite a bit of tools in the webmaster portal that would help (if used properly). great stuff guys!!! hey spencer, what if 9 sites have high PA but are not targetting the keyword? and only one is (wich happens to be a low quality site). also, when i use my keyword in google (not long tail pro), i’m not getting the same results, i’m getting very low quality sites like wikihow…etc. could this be a good sign? thanks for everything, keep up the good work! Yes, this would have potential. If most of the sites are not targeting the exact phrase, then their PA is not as relevant. This seems to be confirmed by a low quality site that IS targeting the keyword and is therefore ranking. If you build a higher quality site that this one low quality one…or get more links…you theoretically should be able to rank higher than them. For the ‘power washer reviews’ website, there was said it’s a weak niche site. Is this because of the few backlinks? The site seems fine with a lot of good content (only scanned a bit) but I see there are not many backlinks. Yes, because of the backlinks and page authority. Spencer, thanks for all you do. I came across your site about a week ago and have gotten a lot of out it. Good stuff! Question on this “power washer reviews” KW – why is it not a good one? I read the top but just didn’t get it. I just searched it and see a few niche sites ranking as well as a YouTube video on page 1 with all the metrics you state which would make it a good one, no? Just trying to figure out what I’m missing when looking at this. I marked it as orange, not red…so its a maybe. I only gave the SUPER easy keywords a green. Great post Perrin and Spencer. I think this is helping a lot of people get better at what they do, especially me. Great post! Thanks for sharing this guys. It’s great to see real examples and the process. I must admit, when I first followed Spencer on the knife challenge I chose what turned out to be an ecommerce word. It’s fascinating to see Spencer’s selection process and all the subtle distinctions about what does and doesn’t work these days. Very nice to see all these keyword examples. They are very helpful. Keep up your great work sharing what you are learning, Perrin! I am very happy reading this post. It is really excellent guidance about how to do research properly. Thank you very much. Great post and insights Spencer, thanks! I have a Q about the forums and Q&A sites that are ranked high. You mention these as low/weak competitors. Even authority sites such as Yahoo answers/Quora in the Q&A’s and Warrior Forum, BHT, Digtial Point and etc. in the forums are considered weak and beatable by niche sites? Warrior forum might be big and popular forum but it’s hard to beat only if their homepage is ranked. It may also happen to see very authoritative website on top which doesn’t have keyword in url&title. In fact, it isn’t optimized for that keyword. Great post Spencer, awesome work Perin! I can’t wait to get to the next steps of this project as I have already done my research on keywords. I found three actually and can’t find a reason why I can’t work on all three at the same time. Strangely and probably a nice thing too is that they are all in the same niche, each a micro niche of its own. I’m already looking at whether to start my own blog network with expired domains, but heck, finding good expired domains are tougher than I thought, especially without the paid tools like ScrapeBox and PR Powershot. I’m still a bit fuzzy about how adding prefixes and suffixes can possibly turn an ecommerce keyword into a winner. For example, survival knife is an ecommerce keyword. Even though you added “Best” and “Guide” to the domain name, you are still selling knives (eCommerce) via Amazon Affiliates. Didn’t you in fact target an ecommerce keyword even though you changed up the domain name? No. Let me explain. What I mean by “ecommerce” keyword is REALLY those keywords that almost exclusively have ecommerce sites ranking on the first page of google. So, “Survival Knife” may have mostly ecommerce sites ranking on the first page – and is therefore my definition of an “ecommerce” keyword. But I targeted the keyword “Best Survival Knife”…and THAT keyword had almost NO ecommerce sites ranking…therefore its more of a review type keyword, not an ecommerce keyword. Hope that clears it up for you. That totally makes sense. Thanks for the clarification, Spencer. Great Post Spencer!! I have a question for you or anyone who can answer. I am following the niche site project along with a site i am currently trying to put together. I have yet to get the content on it or do seo, affliliate or backlinks to the site. Yet my site is on the first page of google. I am new to all of this and need all the advice/help I can get.I am getting into the dating niche. So what can I do to get the site where it needs to be considering what its doing now in google? I feel the same I went through 100 + seed keywords and spent 10+ hours so far and found a hand full of keywords. Thanks for sharing all this great information with us Spencer and Perrin. I have a question for you Spencer. If there was a .org or .net available as “best survival knife.org” or “best survival knife.net” would you have taken those domains instead of going with a domain like “best survival knife guide .com”? If you found a keyword, that had some review sites in the top ten, but still all results were over PA 30 – do you still avoid? Does PA trump type of site? I might still skip. It depends on how much over 30 they are and how many juice page links they have. If they are only 31 or 32 PA and less than 30 juice page links, I might still tackle it. You mentioned that if the Page Authority is 1, to divide the Domain Authority by 2 and then that number is your PA. I notice though that most sites with a PA of 1, also have a DA of 100. So it seems that number may not be accurate? PA is provided by Moz.com…so we can’t change what shows up for the PA. A “1” means Moz.com has not given them a page authority yet for whatever reason. In this case, I divide DA by 2 to give me an idea of how strong that page should be. Yes, many have a DA of 100…meaning they are very authoritative sites. Great post and insight, thanks very much Spencer. With respect to the sites with a page authority of 1, you mention that a more accurate representation of the page authority is just dividing the domain authority by 2. What I’m wondering is, does this assessment get factored into the KC score produced by longtail pro? So if we see a low KC score for a particular keyword, is that one of the first things we should look at – whether there are a bunch of sites with a PA of 1 that are skewing the KC calculation? Great question Dave. Perrin asked me this yesterday as well. For the KC calculation in Long Tail Platinum, the software does this for you already. So, the KC is not skewed. For any results that have a PA of 1, we take the DA and divide by 2, then go through the rest of the KC calculation to give you a score. Its accurate. Thanks very much Spencer, that’s very helpful! Thanks for the good info here Spencer. A lot of these keywords seem to be focused on single products. But I am hoping to build more of an authority site when I finally choose my keyword. So I am curious, which is more profitable? To build a site about the best fishing poles? Or to build a site about fishing in general and then do reviews on fishing poles, tackle, tips, gear, books, dvd’s, etc…..
Travis: Great question. You can most certainly do that…and I’m currently doing this with a couple of sites. The bigger site would obviously be more profitable, because its bigger…but only if you can rank for all those individual keywords. In fact, I’ve been discussing this very strategy with Perrin, and we may end up going that route. We have our next coaching call tonight, and I plan on discussing this as an option with him. I’d like your opinion on this one. I know search volume is a bit small, but the prices of the products are a little higher. Low end is about $100 per item, with high end going over $500, which I think doesn’t need as high search volume as a site for product(s) with lower items. I’m not sure about the DA sub 30 count, but the links count is quite a good one. The best thing about the SERP for my keyword is that at #1 is a niche site, #2 is a forum, and both of these are beating out 2 Amazon results. I know you don’t like to see Amazon in the SERPs, but there’s a forum beating it. I take that as a good sing. What do you think? Other sites seem pages on bigger sites news sites. It really seems to me that the big G just doesn’t know what to put in the results at all. I would most likely go after this keyword, but of one concern. The niche site sitting at #1 I mentioned. I clicked through that site and it is very good site. A great resource for someone who’s searching for this keyword. What would you suggest someone to do in this situation? The keyword is very exciting, expect for this one thing where I can’t say if I can make a better site that the one already at the #1 spot. I would very much appreciate your input on this. Its hard to say without seeing the exact keyword, but sounds like a good one based on your feedback. The search volume is a bit low though, so unless you produced lots of secondary articles, it wouldn’t be a huge earner. You should always just do your best to think outside the box and try to provide a better resource/experience than your competitors. I noticed you flagged consumersearch and consumerreports as authoritative sites. I’ve been doing a lot (and I mean really A LOT) keyword research for the past 2 months, finding great keywords matching your criteria, however in lots of the keywords I found I saw that these 2 sites were being outranked by brand new niche sites, even with a fee backlinks. Usually I find both of them ranking together. So this makes me wonder if we should see these sites as a threat or as a good sign actually. This is something that has me scratching my head the most as well. I have seen this numerous times and thought about starting a site that is targeting that keyword because I kept seeing this trend hoping to outrank those sites in the future. Hopefully Spencer chimes in on this as it seems, in the above post, it’s just seen as too competitive and may be very difficult to out rank if at all possible. But I have seen otherwise like Javier mentioned. Glen Allsop recently did an extensive write-up about a hole in the Google algorithm whereby fresh sites were out ranking better optimized sites. Perhaps this is what you were seeing. I should also add that I don’t see this happening for the long-term so I would stick to the strategy Spencer outlined. I’ve read that case study Paul, but the sites I’ve seen are not ranking by their dates in the post, they’re not using any dates at all. They’re just new sites (a couple of month old or more) that are outranking these consumer review sites. Javier – you very well could be right. They have great Domain Authority, so are authoritative sites, but as you know…its the individual page that really matters. So, I’m certain there are instances where these sites can be outranked; sounds like you’ve found a couple. That’s correct Spencer. It’s not just an isolated case, I’ve seen quite a lot. I’m not saying it’s a “go for sure” flag, but I would definetely take it as a good sign. ConsumerSearch is owned by About.com and they spend a ton of money to keep it up and running (into building content). It isn’t AS popular as some of the other consumer sites out there but yes, like you, I have also started to see a lot of those results. So I consider them an authority. I would stay away from CS as well. Spencer, I just wanted to say that this site is awesome! A lot of people talk about keyword research, but it doesn’t seem like anyone covers examples THIS specifically and in-depth. At least not that I’m aware of. Keep up the awesome work you do. Thanks Eric!! Glad you enjoyed the examples. I try to get in the trenches with everyone else doing keyword research and share what I’ve learned along the way (been doing this for a long time now). Thanks a lot for your awesome posts that I’ve learnt so many information from. I created my keywords list about two weeks ago and now a fresh niche site is alive. But I don‘t clearly know how to create my backlinks and fill the site with effective articles. So I I’m looking forward to your next article about the strategies eagerly. Coincidentally, the keyword I chose is on the Perrin’s list. : ) Maybe I don’t want you to choose that one. Ha! This is my main thought going into research and you summed it up really well. Nice structure of laying out the keywords to compare! Too bad, Long Tale Pro is not available for Russian markets! I would love to have this Swiss knife tool for analyzing niche websites potential in the Russian web. Any plans for going international, Spencer? Why can’t you use Long Tail Pro in Russia? Long Tail Pro makes it possible to search for keywords in Russian, to see Google Russia results – Long Tail Pro has been international for a long time. I just tried it out again on another computer. Although I am logged into my google account and can use the google keyword planer via LTP, my LTP keyword research just stays at “Fetching Keyword Ideas…”. The loading bar is not moving either. I can use other LTP features though, such as competitor analysis. Sounds like a simple fix. Please file a support ticket at longtailpro.com/support – and the support team will have you up and running in no time. I am finding this Niche Site project very, very interesting and have already recommended it to a number of people who could benefit from following along. Examining each keyword with this level of scrutiny, as you have done Spencer, is so informative. Thanks for the info. This post is really good, allows me to know what a professional niche site builder is thinking. I get to know what keywords are good to rank. So ultimately, which keyword does you choose? I know you have spent a long time writing this post and I really thank you for that! Love this blog! Where was this post a month ago?!? Dang it!! I even read your eCommerce post from a few months back, yet I still made this mistake in choosing a keyword for a site I am currently working on. My optimistic stupidity told myself that a content-rich site with good quality articles targeting specific keywords should be able to outrank eCommerce sites selling products that basically have no articles. One month in and I’m not even on the radar on Google. Other sites I’ve created recently have ranked on day 1!… Back to Long Tail Pro…. Better late than never…best of luck Matthew! Great stuff, I learn so much from this, thank you! Anyway, I have a question: I research keywords for the Netherlands and in Dutch. Naturally my demands for search volume are lower, which is fine. But are there other numbers I should have different criteria for? For example, I get a lot of very low KC. Should I have a different max than the 30 you mentioned? I would stick to the same KC, you can certainly go over 30, but that’s up to you. GREAT idea! I would love to see that! Its a good idea, but not sure I would have time to dedicate to something like that every week. Thanks a lot for sharing this detailed post! I cant wait to see the results in the end. Hi Spencer, thanks for a great project! Like many others I’m trying to do this alongside Perrin. To date I’ve fed almost 300 words and phrases into ltp but am seeing NO niches. Now I’m not sure if I’m just using the wrong words and phrases , if I’m setting the filters too high – usually just local searches of 2500 and CPU of 0.25 and 2 words- or just possibly I’m completely misunderstanding the stats and not recognising the possible niches. Are you able to share (if you still have them) what the top 10 stats looked like when you first saw best survival knife as a possibility? Also can you explain what it means when ltp only returns 7 results for topb10 but those are all high pa – does that mean the next 3 positions are available or is it a glitch of some sort? Thanks for that – I did follow that project but hadn’t remembered that particular shot – will go have a look right now. Sorry to ask for something you had already provided! Also, the next post will include an in-depth, real-time look at keyword research. So you’ll see! Thanks for sharing this great information. It is really useful for us to dig into your thoughts of selecting one or another keyword. Monetization will be done via affiliate sales (Amazon mainly), but the fact that there are ecommerce sites in the search results, throws me back. It is a really profitable niche in which I can made up to 10$ per referral sale, so I think it is awesome. Should I go for it? I think that if I invest time and money in linkbuilding, I could be ranking high. Hello Spencer I have a question. 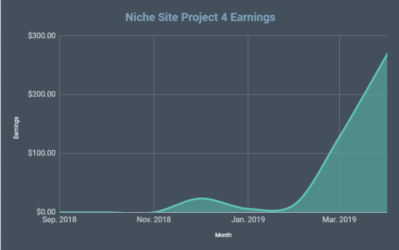 I am following the niche site project along with a site i am currently trying to get ranked. I have yet to get the content on it or do seo, affliliate or backlinks to the site. But when I typed it in google its my site is on the first page of google. I am new to all of this and need all the advice/help I can get.I am getting into the dating niche. So what can I do to get the site where it needs to be considering what its doing now in google? Realy Google Not Rank Exact Match Domains in Top Results ? Google definitely does still rank EMDs. I hope this niche site project is different from the last one and not version 1.2 . I’d like to see a different monetization method used. Another great write-up. Don’t know how but I had missed that great feature in LTP letting you add specific types of words that you want included i.e best, top etc. Having re-run my searches and throw those into a spreadsheet for further analysis and then doing a real search for each of the final 10 keywords shortlisted I have managed to find one I am really keen on – also happens to be an old interest of mine which I am looking forward to re-kindling the interest in. My problem is now the domain name. The exact match.com is taken, but not the .co.uk (I am based in UK). Unfortunately the bestmatchdomainguide.com is also taken but not used. Would be interested to hear your thoughts about which direction you would go. If you are mainly concerned with ranking in Google UK, then get the .co.uk. But if you are wanting to rank in Google.com, I would probably go for the other options. The other options are fine, you could add any word after the domain, could be HQ, spot, hub, mojo, guru, whatever you want. Doesn’t really matter. Great Article guys keep up the great work. This is great information and thought provoking. Interesting post. Now that we got a nice list of keywords that are not the best choices I would love to see a post with a strategy for finding keywords that do work. This is why I love articles like this – to bring me back to the basics and to show myself what I’ve been doing wrong. I believe I may have been getting too lazy just looking at only the KC metric and then basing my decision on that. Now I can see that really taking a hard look at the Top 10 is the way to go before you select a word that you’re going to try to target if you want to have any chance of success. Thanks again for the helpful lesson! I love keyword research. Keep pluggin away Perrin! Very inspiring! Thanks for posting such great content. It was really kind of weird to read this post and see numerous key words that I looked at recently before this was posted and passed on. I could thank you a million times for this post. I have hesitated on creating another site until I fully understood what I was looking for while doing my keyword research. This helped me alot! I’m a long time reader of NichePursuits and like all other posts here, I absolutely loved this one. I just bought Long Tail Pro about a week ago and I’m still playing around with it. I’m getting caught up with one of the things in my keyword research and I hope you and the other NP readers can help me out with it. 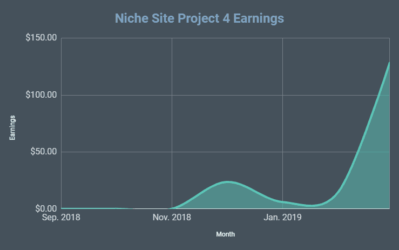 I’ve noticed that you and a lot of other niche marketers stress the importance of getting EMDs for niche sites because niche sites don’t manage to build an impressive backlink profile. My question is, for all the keywords that I’ve looked so far that look promising, exact match TLDs are nearly impossible to get as long as you don’t have $1000-2000 to invest in getting the domain (which I don’t). If I can’t get keyword.com or keyword.net or keyword.org or keyword.co.uk, how should I go about it (what domains should I be looking into)? Moreover, is it still possible to rank with a prefixed/suffixed domain on top of google if you have a completely unique name and the keyword that you’re targeting in it (do the same Niche SEO rules apply)? I haven’t stressed having an EMD for a long time. Its not important. How’s that? I’ve said it many times, having an EMD is not that important anymore…get it if its available. If not, just register a different domain and target the same keywords. Hi! Wow – a lot of comments you’ve got here! But the post is definitely a very helpful piece of content. You’ve been talking about e-commerce sites here. I’ve got a question about another type of keywords, which often have sites like houzz.com and pinterest.com i top 10. What about them? Is it better to avoid them as well? Thanks Spencer! Thanks everyone for helpful comments! Hi, I have a similar question as Mike, I found a low competition keyword and the top 10 include 4 tumblr pages and 1 from pinterest. Are they easy to outrank? I found an interesting keyword, but I’d like to know your opinion. it has 6000 local searches, cpc 1.70$ and advertisers competition is High. Would you go for it, or not? Would I be able to rank well, despite these commerce websites (no amazon)? My main fear is not being able to outrank the commerce websites, even with a well optimized site. This might sound like a silly questions but I live outside of the USA and I’m not sure what figures I should be aiming at for my local searches. Or should I stick to the USA as it has a bigger reach. Confused! Any advice gratefully received. I see no reason why you can’t target US search engines. Great article……nice examples of keyword research. all at the moment but I have saved it and also added your RSS feeds, so when I have time I will be back to read more, Please do keep up the great work. Hey! I just would like to give a huge thumbs up for the great info you might have right here on this post. I am a little confuse here. amazon, bestbuy, target, homedepot are these consider e commerce site?